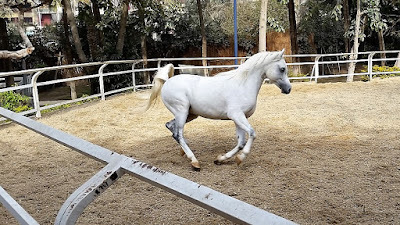 "Free for leisure at your hotel or you have the opportunity to accept the invitation of Dr. Nasr Marei to visit his Arabian horse farm, Albadeia - The Pyramid Society." I am preloading this photo of teenage Sigrid in a riding competition in anticipation of our visit to The Pyramid Society. 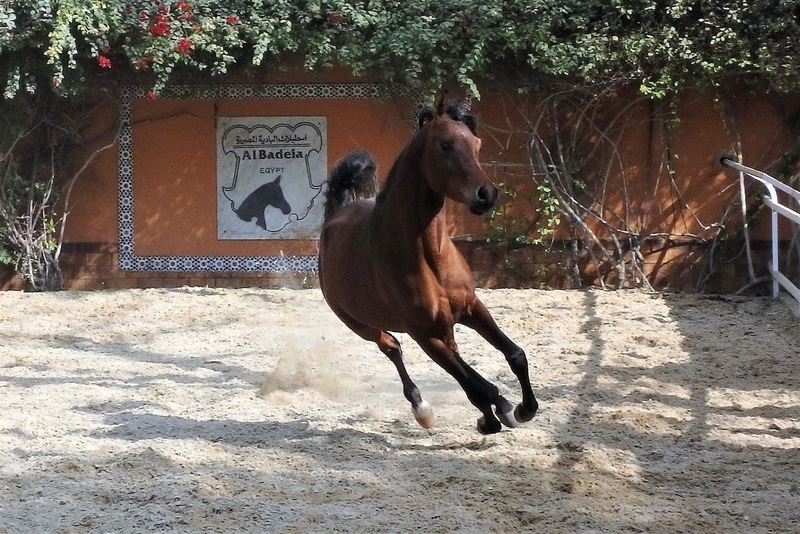 She grew up with her BFF Laurie riding Arabians competitively. 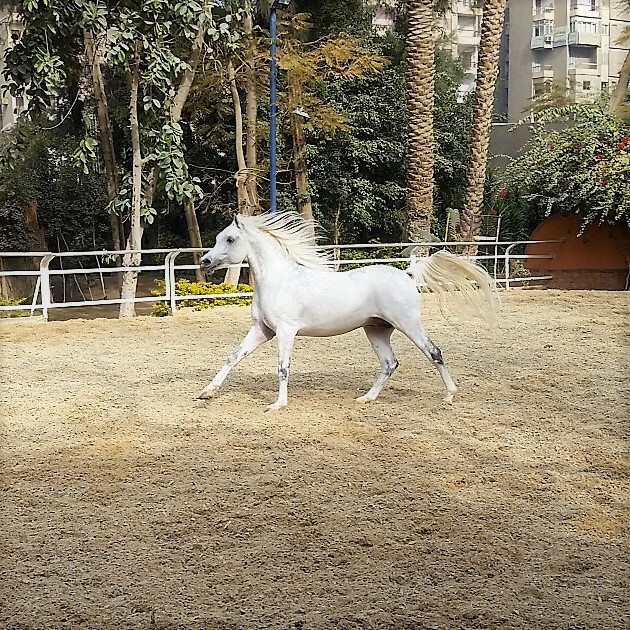 One of Sigrid's show horses - Sky High Fad (not pictured) - was sired by Fadjur of a famous Egyptian Arabian lineage. Sigrid contacted the horse farm and now we have an invitation to visit. Sigrid is excited. 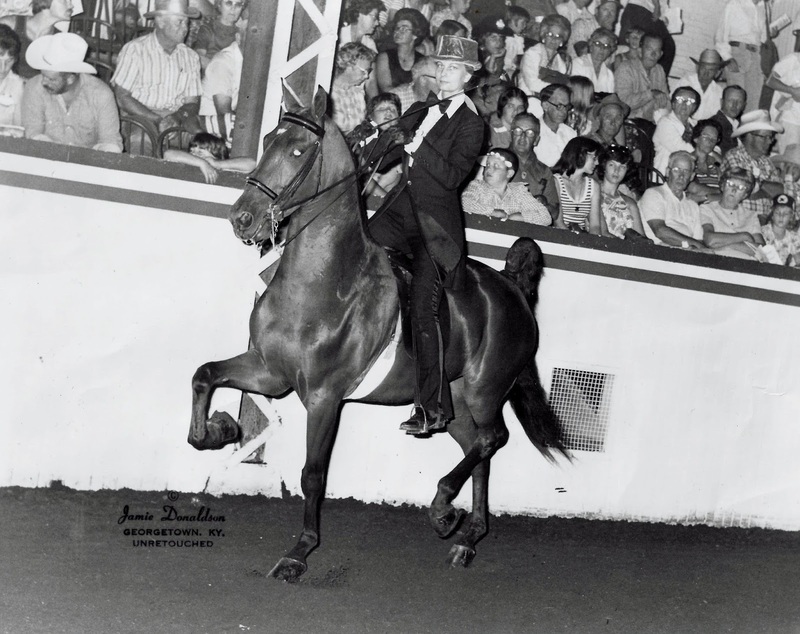 "We had a unique experience, thanks to my best friend Laurie who I showed horses with for many years. Her keen interest in Egyptian Arabian Horses made me aware of the Pyramid Society. I contacted Dr Nasr Marei and he graciously extended an invitation to visit him at Albadeia Egyptian Stud, a world renowned breeder of Straight Egyptian Arabian horses. Our afternoon was free after Sigrid's horse experience. 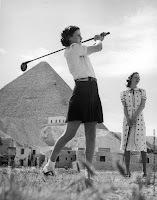 I'd hoped to get out on the Mena Golf Course and play at a round under the shadow of the Pyramid. Unfortunately the course is closed for renovation, so that will have to wait for a future visit. Instead we toured the old section of the historic hotel and decided to see the the sound and light show at the Pyramids. Finished the day with dinner at the restaurant. This post is still under construction. 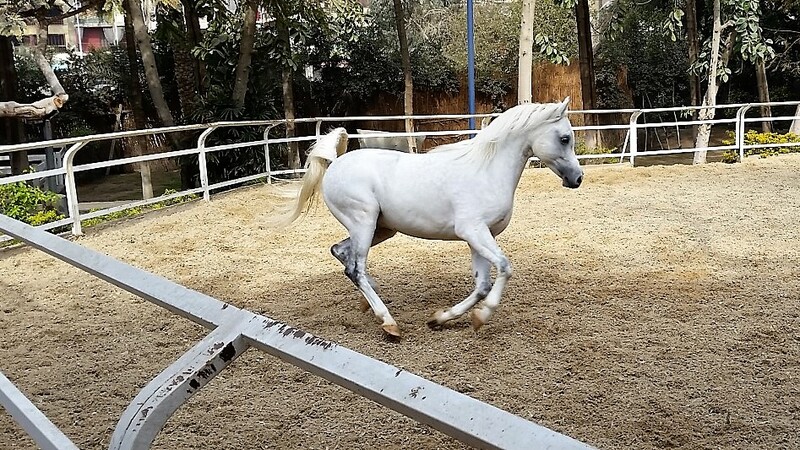 I have some animations and video of the Arabians I'd like to post, but don't have the tools to properly edit them here, and there is a problem with the gif animation tool I'm (using (see above). I'll get to it eventually.